A fast break-up this year is causing further delays through the well-travelled Sterling Highway corridor south of Soldotna. Originally scheduled to be closed for a week, the detour — which forces drivers to take Kalifornsky Beach Road — will be extended a second week. But since the road closed to through-traffic Friday night, McCarthy said the detour has not been too disruptive. The project, just north of Kasilof, will result in four new culverts and widened shoulders. The equipment was getting staged even before the snow was all gone along the Kenai Spur Highway, just outside town. 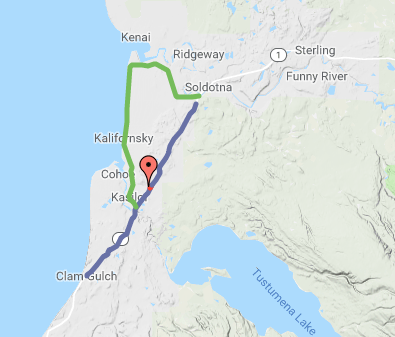 It will be a couple of seasons and result in enough delays and inconvenience that by the time the Kenai Spur Highway rehabilitation project from Soldotna to Kenai is done, it will be a welcome relief. That’s because the project will extend five-lane blacktop the entire distance between the Twin Cities.